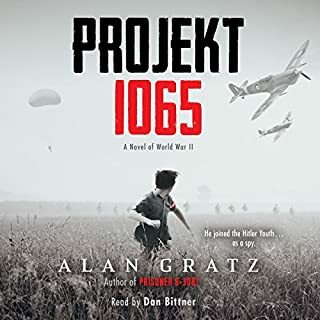 When 16-year-old Helmuth Hubner listens to the BBC news on an illegal short-wave radio, he quickly discovers Germany is lying to the people. But when he tries to expose the truth with leaflets, he's tried for treason. Sentenced to death and waiting in a jail cell, Helmuth's story emerges in a series of flashbacks that show his growth from a naive child caught up in the patriotism of the times, to a sensitive and mature young man who thinks for himself. World War II, October 1942: A plane carrying eight Americans crashes into the middle of the Pacific Ocean. With only four oranges and no fresh water between them, the crew has to band together and rely on each other for survival. What they think will be only a few hours or days before they are rescued turns into weeks lost at sea fighting off sharks, dehydration, hunger, and extreme heat. At the outset of World War II, Denmark did not resist German occupation. Deeply ashamed of his nation's leaders, 15-year-old Knud Pedersen resolved with his brother and a handful of schoolmates to take action against the Nazis if the adults would not. Naming their secret club after the fiery British leader, the young patriots in the Churchill Club committed countless acts of sabotage, infuriating the Germans, who eventually had the boys tracked down and arrested. But their efforts were not in vain: The boys' exploits and eventual imprisonment helped spark a full-blown Danish resistance. Interweaving his own narrative with the recollections of Knud himself, here is Phil Hoose's inspiring story of these young war heroes. 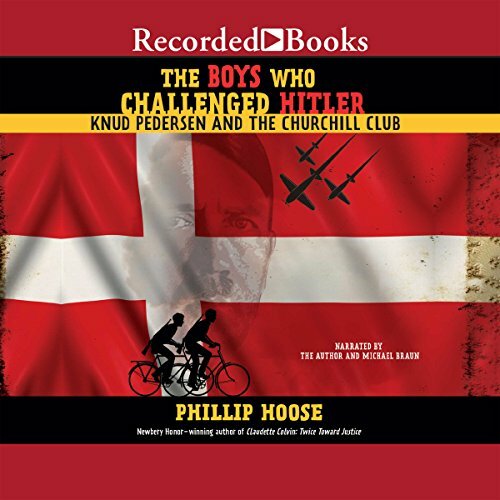 Phillip Hoose is masterful as he unfolds the story of Knud Pederson and the Churchhill Club, The boys were brilliant and brave, never passing up an opportunity to sabotage the Germans, when situations presented itself. 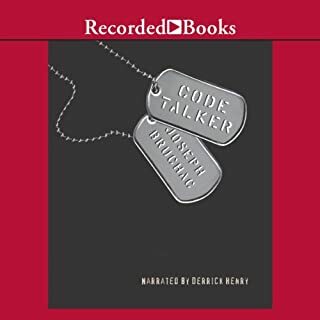 Outstanding job with the audiobook, I couldn't stop listening, fabulous all the way around! 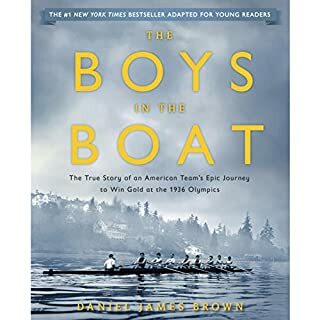 I admit I had not heard this story until reading this book. The story is absorbing, moving and compelling. I could not help but wonder how I would have reacted in the same situation, like the boys who rebelled or like most of the adults who acquiesced. I also wonder how much of the boys actions are due to bravery and how much to the rebelliousness and fearlessness of youth. Two quibbles. First, the author mentions but does not elaborate on the successful evacuation of the Jews by Danes before they were deported by the Nazis. The Danes certainly deserve credit for that rap in comparison to action (or inaction) by other countries and esp since they are criticized for capitulating to the Nazis. 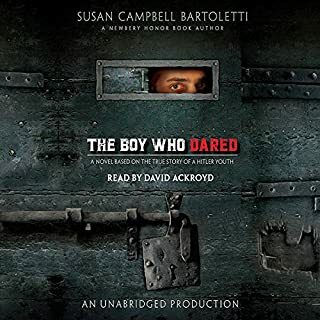 Second, the book narrator was very good but I felt the actor voicing Knud Pederson was over the top sometimes and I found it a bit distracting. Overall an excellent book esp for those unfamiliar with heroics of the Churchill Club. Great. Amazing. Wow. I loved it. Cool is that enough words? Great book I reccomend it. 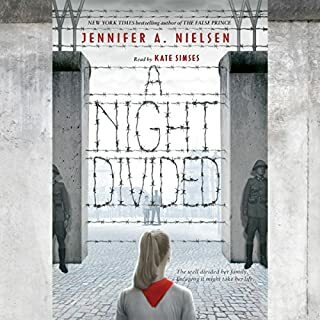 it is a true story and it amazing for people who love ww2 I loved it even when it started and it talks about 8 teens blowing up germans weapons for there country in Denmark and showing those Nazis what they deserve "WHAT CAN YOU DO TO HELP"
This is a great story. My 12 year old son suggested it to me, says it's one of his favorites. Michael Braun is also great! The author, however, is only adequate and his mouth noises are annoying and distracting. The story being told was very, very good. The only negative to it was the performance of the guy that spoke as Knud Pederson. He was a bit obnoxious. If you could sum up The Boys Who Challenged Hitler in three words, what would they be? What was one of the most memorable moments of The Boys Who Challenged Hitler? When the Churchill Club would run out and mess up the signs was my favorite moment. My favorite scene was when they found the Rifle and stole it. No but this book did make me different. All the stuff in this book is what I have never known and now I know all about when, where, and how the war started. 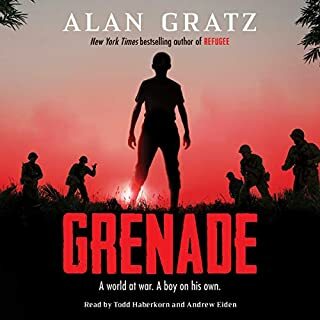 I liked how this book covers a part of the war that many people have never studied. Hoose kept me intriguiged the whole way through.